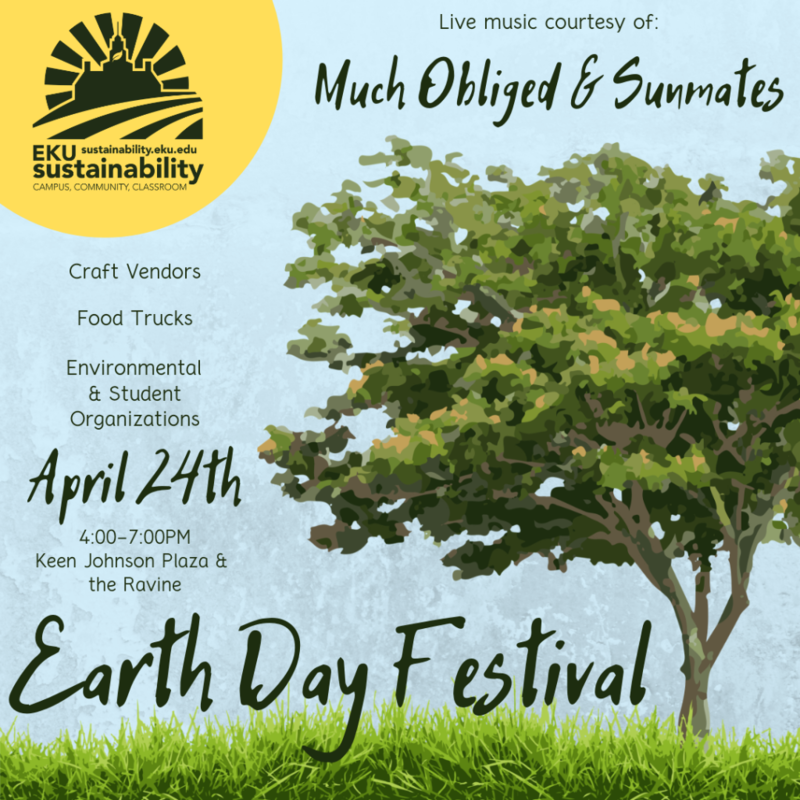 The festival will host local environmental organizations, craftspeople, artisans, food trucks, fun activities and live music. Bring cash, an appetite, and a lawn chair to sit and enjoy the tunes! Staff Council will also be awarding a $5 token toward food purchases at any food truck vendor to employees that register with their employee ID at their booth. 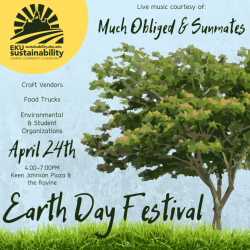 ANYONE selling handmade goods or representing a local environmental organization can register for FREE! Parking: University Drive will be closed to through traffic on April 24th from 4:00 PM - 8:00 PM. Limited sidestreet parking for vendors is avaliable. Vendors needing vehicular access to set up for the event should contact us to make arrangements ahead of time. Event parking will be available at the Jones & Crabbe Parking Lots. Payment Options: The event is being advertised as cash only. ATMs are available in the Whitlock building. If you have a card reader, you are more than welcome to bring it! Please RSVP to ashley_albano@mymail.eku.edu if your organization/business would like to be represented at the event. Each organization/business will be provided with a table and two chairs, but you may bring a 10x10 pop-up tent and/or addtional tables. You are more than welcome to bring any educational materials/signage/decor of your own that you deem necessary. Fun activities for public participation are also highly encouraged! We ask that you arrive at approximately 3:00 PM in order to provide adequate time for set up. There will be limited on-site parking and electricity available to those who request it in advance. Additional parking will be available on University Drive, Crabbe St., and the Jones Lots. Please let us know if you need any additional accomodations! Contact: Debbie Namugayi at (859) 622-8798 or debbie.namugayi@eku.edu for more information.